Suitable even for powerful devices such as laptops and travel hairdryers. Applicable in many countries: England, Scotland, Wales, Ireland, Cyprus, Malta, Kenya, Saudi Arabia, Seychelles and many more. You plan a city trip to London or a roadtrip through the Scottish Highlands? 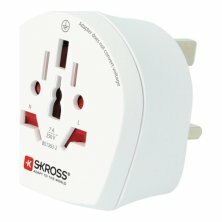 Then this country adapter will be your perfect companion! 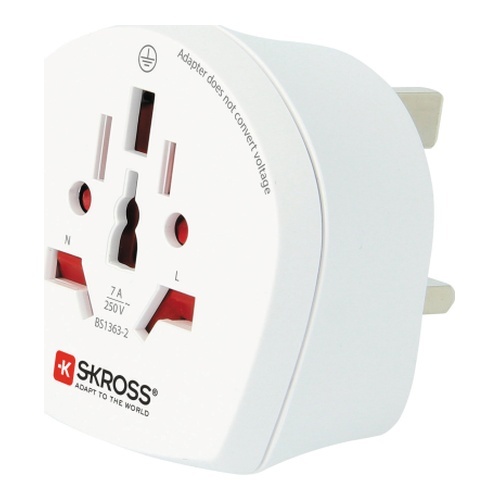 Not for insert with grounded Euro plug (Schuko).